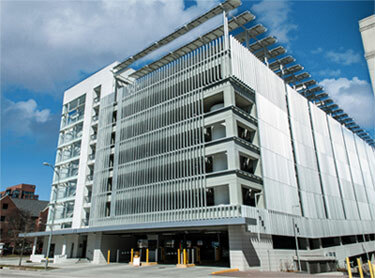 Employee parking is allocated to each department within the Downtown State Government Complex. State employees who work within the complex may request parking through their departmental parking coordinator. Parking assignments are based on the availability of parking within a department's allocation. Benefits-eligible employees assigned to work stations within the Downtown State Government Complex who work at least 30 hours each week have priority for parking assignments. Temporary employees, contractors, pages, and interns are eligible for parking assignments in certain facilities, subject to availability. Priority consideration is given to employees with documented disabilities and to TTA vanpool vehicles. Employees who feel they require special consideration for parking due to a disability should submit a completed Application for Accessible Parking to their parking coordinator. For all other employees, departments may develop internal policies for assigning parking. The State Parking map shows areas designated as employee parking.